I’m SO excited to introduce you to my friend, Pepper Basham! 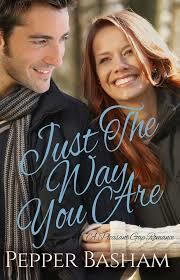 Her newest book, Just The Way You Are, just released this month and oh my goodness. If you love romance with some comedy in it, you need to read Pepper’s book! I had the honor to be a part of the Love at First Laugh novella collection with her, so am so excited to introduce you to her! Without further adu– a little chat with Pepper! PEPPER: HAHA!!! Yes, for both reasons. I’d love to get my PhD one day in…hmm…probably counseling because I’d really like to be able to counsel families impacted by Autism in one way or other – either child, parent, spouse, etc. And…I mean, how cool would it be to have the title Dr. Pepper??? KRISTA: FAVORITE part of writing books. PEPPER: Creating them(the whole brainstorming stuff) and then having people love them too. That is like icing on the cake, you know what I mean? It’s amazing and rewarding to have people fall in love with the same things I did while writing the stories. KRISTA: FAVORITE book you have read so far this year. KRISTA: Explain to us what exactly you mean by “Britallacian” when you’re describing Just The Way You Are. PEPPER: Britallachian is a novel which highlights two cultures in a engaging way. In this case, I’m having a culture clash between the British culture and the Appalachian culture. Even though Appalachian came out of the Scots-Irish tradition, there are lots of differences that have developed over time. It’s fun to set those two worlds together on the same page and see what happens. KRISTA: Okay, let’s say everyone here loves you as much as I do and runs off and reads your book, and thinks it is amazing. Will there be more Pleasant Gap romances in the future? If so, WHEN so we can all put it on our calendars? PEPPER: Well, I have every hope that you’ll see the next Pleasant Gap book this fall, When You Look At Me. I’m working on it right now! AND for those who want more, my second Mitchell’s Crossroads book comes out in November. It’s called Charming the Troublemaker. Krista: I’m here to testify that her FIRST Mitchell’s crossroads book, A Twist of Faith, was awesome! Okay, so where can we find out more about you online??? KRISTA: THANKS sweet Pepper for joining us today!! Let’s Chat! – I KINDA want to ask which would you prefer: Dr Pepper or a green pepper. Feel free to answer to that to make me giggle. Otherwise, anyone have questions for Pepper?? 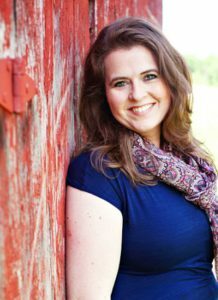 I had a teacher at Bible College who got her doctorate, and she became Dr. Joanne Pepper. Great interview. Green pepper all day long. The number of green pepper answers is shocking me!! Great interview and I’m looking forward to getting this book at some point. Pepper, I have to say I haven’t read yours yet, but that’s only because I like to wait til a series is out before I start so I can go from one right to the next and keep that family feel (and remember what happened with minor characters that may become main characters). Krista as far as your question, I’ve never been fond of green peppers, and don’t drink soda anymore, but many, many years ago I did like Dr. Pepper, lol. Andrea, I TOTALLY get that!! If you like historical romance, Pepper has a completed historical series as she mentioned!! SO GOOD!!!! Okay….I just have to say that I’ve ALWAYS thought of Dr. Pepper as “Prune Juice.” UGH! It’s no contest…..Green peppers for me any time! I have Pepper’s three Thorn books on my shelf right now! I asked the local library to purchase them! Can’t wait to read them and the others. My son-in-law could not live without Dr. Pepper! But I have to have caffeine free and that tastes too much like water to me! So I guess green pepper for me! Oh Paula!! Thanks SO much for ordering the Penned in Time series for your library!! WOW!! That’s awesome!! And I really hope you enjoy them. Thanks Krista! I rarely drink soda and have never liked Dr. Pepper. I agree with Marylin Furumasu that it tastes Prune Juice. I enjoy eating green, red, or yellow peppers raw and cooked. Two of my favorite pepper dishes are Stuffed Peppers and Shrimp Fajitas. Shout out to Pepper Basham. I enjoyed reading Second Impressions in Love at First Laugh and hope to read The Thorn Healer. Best wishes to the both of you. Enjoy your weekend and happy writing. And again I say, PRUNE juice? I’m not sure I’ve ever actually HAD prune juice (but have been told that it is nasty and other… effects… it has….) but if it tastes like Dr. Pepper…..
Great interview. Thanks for sharing Pepper’s work. I really enjoyed Second Impressions and A twist of faith. I’m looking forward to more exciting stories. Thanks for stopping by, Priscila!! I’ll take my peppers multi-colored and in fajitas, myself. On the two or three times a year I drink a can/bottle of pop, it’s Coke. But I pretty much avoid it all. Pepper, is Just the Way You Are related to the novella in Love at First Laugh? Thanks for coming by today! I’ll let Pepper answer (*ahem*notheyarent*ahem) but yeah. I NEED to avoid pop. I really do. I’m doing better, though!! Krista would be CORRECT! (of course, she is). The two are not related, but I have a few other story ideas that I hope will come to the big page later that ARE related to the novella. Good to know! It seemed the label Britillachian could have applied to that one as well, which was why the question! Congrats on your new release. I just recently started reading your books. I love them. I started with Love at First Laugh,then the last 2. YAY, Linda!!! I’m so glad!! You’ve been reading my contemporaries, then? Thanks for leaving reviews!! Those really matter!! Excellent book! Great interview! I’m so ready to re-read it!!! agreed!!!! Thanks for stopping by! Becky, you are so encouraging!!! thank you!! Great interview. Thanks for sharing Pepper’s work. Green pepper definitely. I’ve tried Dr Pepper once and really didn’t like it. But, I think Pepper should get a PhD just so she can do the whole Dr. Pepper thing! ha. oooh, I was just saying which type of peppers I like most! I enjoy a Diet Dr. Pepper once in awhile. I am collecting Pepper’s Thorn books on Kindle and want to read them in order! This books sounds fantastic, and I will be looking for it! Well, if I eat peppers, my stomach does NOT appreciate it at all. I don’t think I’ve ever even tried Dr Pepper! I have read 2 of author Pepper’s books, and have enjoyed them. I would recommend trying Dr. Pepper… but it can be a bit addicting so maybe not so much!! So glad you’ve enjoyed Pepper’s books!!! ME TO!!! Margaret, which two did you read? Twist of Faith and the one in the recent set – I think it was “Second Impressions”? I’m also a big Pepper Basham fan. I love her books! Green (or red or orange or yellow) peppers for me, although I have a sis-in-law that I used to mail Dr. Pepper to when she was overseas. So glad for the interview. I enjoyed reading A Twist of Faith. Great interview, ladies! I love hot peppers…the hotter the better. Congratulation on your latest release, Pepper. Your cover reminds me of a few of Melissa Tagg’s books. Thanks for visiting! Thanks, Jill – and WHAT a compliment to be compared to one of Melissa’s books :-) YAY! I don’t like the drink Dr. Pepper but this Pepper does sound delightful. I can eat green peppers when they are cooked in things, or on pizza, but I don’t care for raw ones by themselves. Hi Pam!! I love cooked peppers. Yum! I’m going to floor you right now and say I’ve never had a Dr. Pepper before! But if it’s anything like Coke or Pepsi, I’m not touching it! I’m pretty sure you can get it, but it’s not as popular as Coke or Pepsi. Green pepper over Dr. Pepper because I like Cheerwine better. My vote is for sweet pepper ;) Fun interview, ladies!